Improve soil structure: Compost improves tilth, increases water retention and creates air pockets for plant roots to grow. Plant roots are able to penetrate soil deeply for extended drought resistance and stability. This is essential to the health of microorganisms that live in the soil allowing nutrients to pass from soil into plant roots. Improve moisture holding capacity: Compost increases the water-holding capacity of soil, saving money on your water bill, and better tolerating dry spells. Dry soil that’s low in nutrition holds about 20 % of its weight in water. While dry soil that’s high in organic matter will hold about 200% of its weight in water. Improve Soil CEC: Cationic Exchange Capacity (CEC) is the measurement of soil´s ability to hold nutrients and thus be accessible to the plant roots. By increasing organic material and raising the CEC index, compost makes nutrients less likely to leach away and stabilizes soil pH. Support beneficial microorganisms: The movement of nutrients from soil to plants is enabled by a network of bacteria, fungi, nematodes & protozoa. Compost introduces and benefits these microorganisms to improve soil health. Reduce fertilization requirements: By improving CEC, moisture holding capacity, and microbial activity, as well as reducing runoff and erosion, compost helps plants grow healthy and strong reducing the need of fertilizer and pesticides. Improve water quality of surrounding streams & lakes: Soils amended with compost have been shown to reduce water runoff, clean the water that does runoff leading to improved water quality. Compost is nature’s way to grow: The largest and most complex plant life ecosystems exist in our forests. Here plants grow without any additional watering, fertilization or maintenance. The secret is the natural decomposition of old generations of plant life which break down to become the food for all future plants. Compost completes this same cycle. Need more? 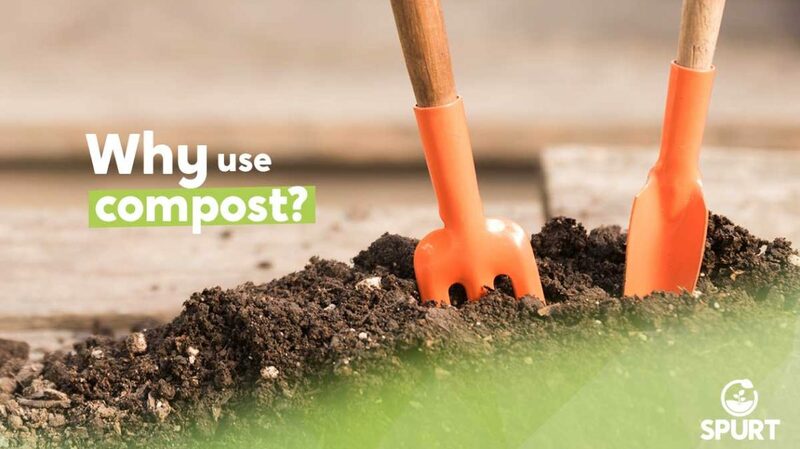 Compost also supplies organic matter, encourage vigorous root growth, buffers soil pH, is completely natural, helps keep organics out of our landfills which helps deter climate change and is just plain cool! For over 15 years, Spurt has been a commercial compost processing facility dedicated to producing top quality soils and soil amendments for landscapers and other contractors. Our facility address is 2041 Charms Rd, Wixom, MI 48393.